poppy9780 has no other items for sale. 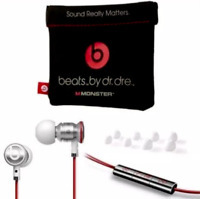 For superb audio, deep bass response, and full spectrum sound, Beats by Dr. Dre Pro Headband Headphones have it covered. 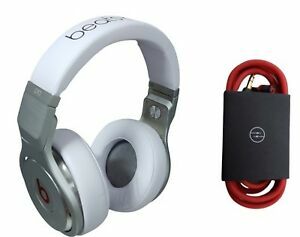 These high-quality headphones come in white and are great for use in a studio or DJing in a club. They allow the listener to hear music exactly as it was originally recorded. They are made of an aluminum gun metal frame and have a matte anodized finish to make them practically indestructible. The ear cups are heavily padded not just for comfort, but also for the purpose of noise cancellation. A cable can be plugged into one ear cup and it will switch the other to output mode for sound sharing. 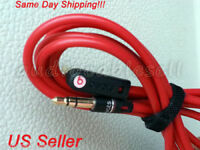 Quick shipping, excellent head phones, deep bass. Fast shipment and delivery. Product more than I expected. Very pleased. Hi guys Thanks for reading my post. These head phones are awesome. I have a couple of other brands of head phones that are even more money than these and The Beats by Dr. Dre Pro head phones are the best sounding by far. Save your money and time and just get these. Reward your self. The quality of sound is not what I was expecting, I did listen to other beats headphones at Best Buy so I did try them out. They are alittle heavy and can become uncomfortable after a long period of wearing them. I do enjoy listening to them. No regrets in buying them. Overall a great product and recommend if you can get them cheap enough! I am no autophile by any means and this is my first pair of studio type/over the ear headphones of any quality. I would have the say that the sound is pretty amazing I would put them more in that 100-150 range. The overall build quality is outstanding and these should be able to last a little longer them most headphones. As far as sounds quality goes, I mids, and highs are prefect, the bass is really tight, but almost a little to tight as for some songs it leaves a little more to be desired. I am sure there are plenty of other choices out there, but I would say for my personal taste these overall make the music I listen to sound the way I want to hear it. 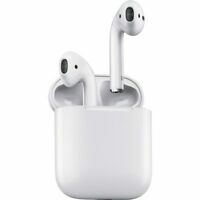 I heard all sorts of great things as well as bad things for the beats by dr dre pros. However, I wanted to test them out myself since I always wanted a new pair of headphones. The build quality of the beats by dre pro is excellent. Very sturdy and unbreakable. Some people say they're not comfortable enough especially when wearing them for a long period of time. Well I beg the differ, I wore them for an hour straight, with the help of the soft leather like padding on both the ear cups and the head band, the beats by dr dre pro were very comfortable to me. The sound quality is what I really wanted to test out. I gotta say, the sound is extremely amazing. Great bass, and great mids and highs, perfect for all type of listenings. Overall, I'm very satisfied with the beats by dr dre pro, especially the white editions.